This part starts on the south bank of the river La Vilaine and ends at the beginning of the KvGr Loire at Pointe de Congrigoux. KvGr Loire was later called Festung St Nazaire. The designation character of the strongpoints is "T", which stands for Turballe. A second designation "Tu" was also used. Additional pictures by Henk Adriaanse, 2005. 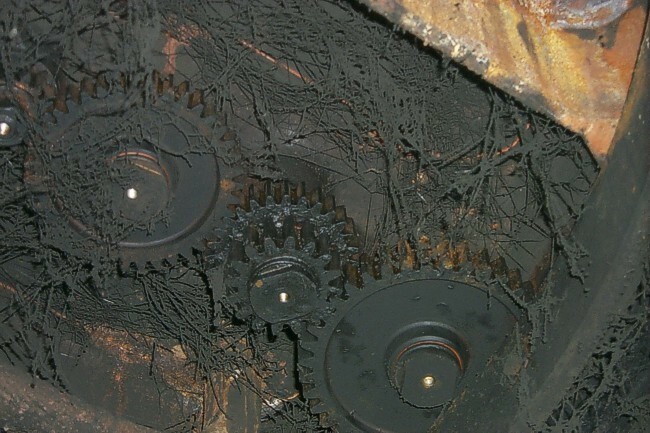 Shining grease on a gearbox for rotating the whole floor in an observation cupola.